I’ve been natural since 2007. I didn’t really need to start texturizing and then relaxing my hair but I had to find that out for myself. My mom finally gave in to me when I turned 16. 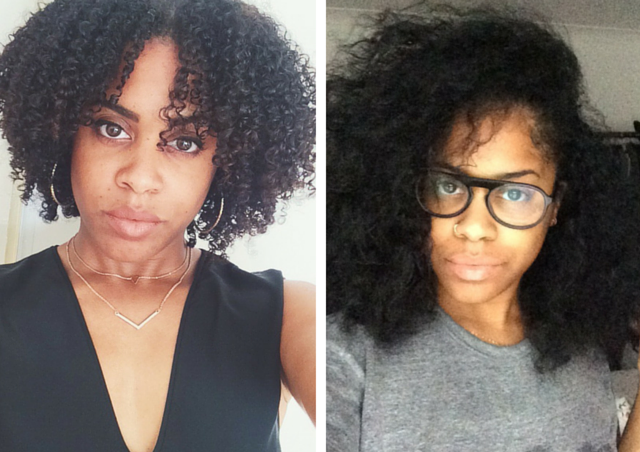 I stopped processing my hair when I noticed that it had lost all of its weight and thickness. I transitioned for 3 years, although at the time it wasn’t a conscious decision and I didn’t know all of these different terms for going natural. In 2010, I cut my hair into a bob and got rid of all the thin ends. It felt liberating! I would mostly straighten my hair with ceramic straighteners at that time. 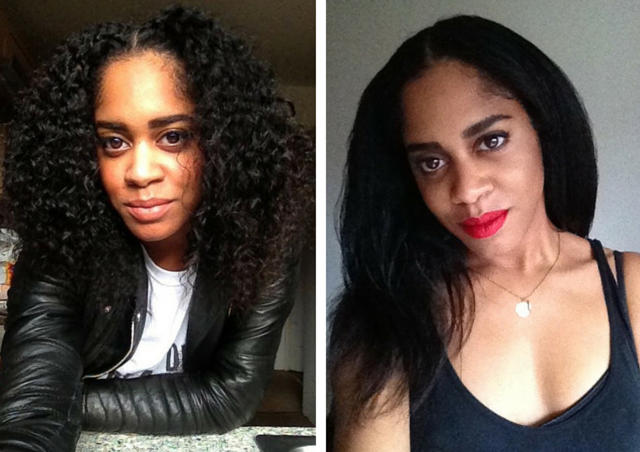 In 2012, I created my own rules where I would straighten my hair every 3 months. I also trimmed my ends then. 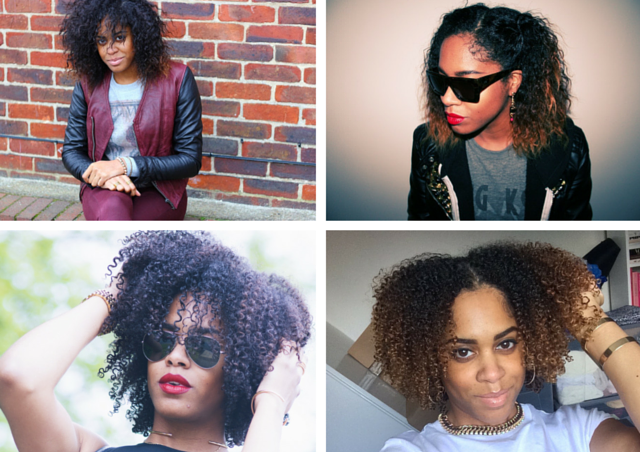 When my hair wasn’t straightened, it would either be in a braid out or tied back in a bun. 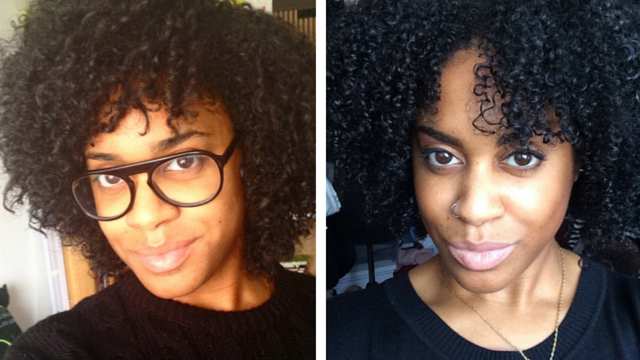 In 2014, I decided to try the curly girl method. In doing this I instantly noticed all my heat damaged ends. I did a DIY Deva cut, which I filmed and uploaded to my YouTube channel. I ended up cutting about 6 inches of hair off but I loved my new curls! 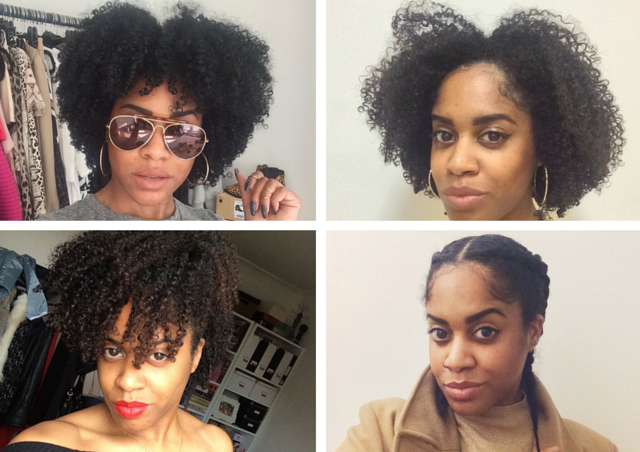 From 2014 to the beginning of this year (2016), I would do regular wash and gos and various other styles. I’m a product junkie so I would constantly buy different products and also mix up my own natural concoctions for pre-poo and deep conditioning treatments. At this point, I would wait at least 6 months to straighten my hair. Following the curly girl method was nice for a while, and while I will keep up with some of the rules (such as not using a regular towel on my hair), I feel like going back to my own rules. I haven’t straightened my hair in almost 18 months but will be doing so soon. I’ve always liked to change my hair, whether it is a cut, some bangs, some tracks, curls, highlights, ombré or straight colour. I’ve cut my hair many times myself over the last 12 years. I’m now trying to get my hair to waist length. I’ve bought some Mane Choice Manetabolism vitamins and products and I’m recording my progress. I’m giving myself to the end of the year to reach my goals! I wash and deep condition my hair once a week. I almost always co-wash my hair using Tresseme Naturals Conditioner, as I don’t like the feel of shampoos on my hair anymore, even the most hydrating ones. I do the LCO method (Leave In Conditioner/Cream or Butter/Oil) even if I’m not doing a wash and go; I like to keep my hair as hydrated as possible at all times. I use different oils for different things. 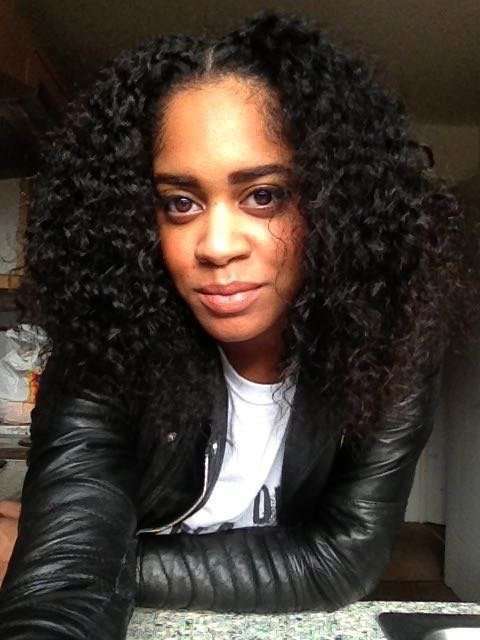 I love Jamaican black castor oil (JBCO) and coconut oil for a pre-wash treatment. 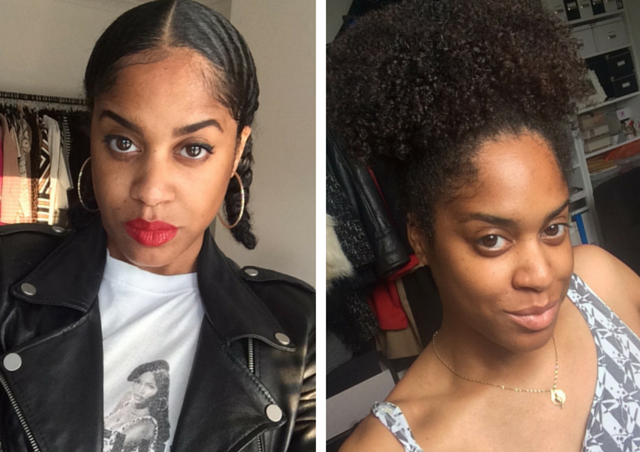 Coconut Oil is also great for adding to a deep conditioner. At the moment, I’m using a mix of avocado oil and jojoba oil on my hair after washing. I think my hair really loved the Cantu “free from” products. They smell gorgeous too! 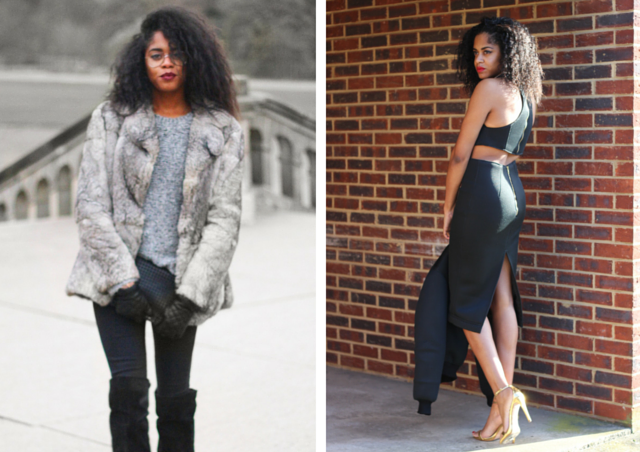 Instagram @cyrenamonique, YouTube @cyrenamonique, Facebook @freakdeluxe and my blog at www.freakdeluxe.co.uk.